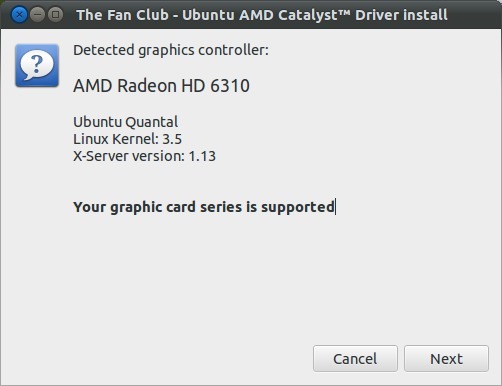 This tutorial shows how to easily install or update your AMD Catalyst Proprietary Drivers to the latest in Ubuntu 14.04, Ubuntu 13.10, Ubuntu 13.04, Ubuntu 12.04. A developer builds a graphical installer called “Ubuntu AMD Catalyst Driver install“. 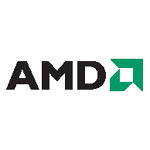 It provides a reliable consistent way to update AMD / ATI graphics drivers on Ubuntu machines. 1. Download the app from the links at the end of this tutorial. 2. Open the app from Unity Dash, it will automatically detect your system hardware configuration and driver compatibility. 3. You’ll be shown a display similar to the one below indicating full support, legacy support or not support. 5. It automatically download the driver you selected. When done, click Next button. 6. Build Ubuntu DEB installation packages. 8. Install the new driver from the built DEB packages and enable the driver when done. The download fails, bearing in mind the app’s developer wants $1US for the download. Unfortunately his checkout system only configures for US states, complicating and confusing matters. I was unable to complete the checkout process. Whatever happened to the spirit and philosophy of opensource?